Clinton Township Braces | Mark D. Berman, D.D.S. & Associates P.C. Many people are born with assymetrical teeth. Another large number of people have their teeth slowly shifted out of place by growth in their childhood. If you have crooked teeth, at any age, it doesn’t mean you have to live with it forever. Orthodontics is the field of dentistry that has the ability to dramatically change the appearance of your teeth, improving your smile - and your life. People generally assume that braces are for younger people. However, adults are more commonly wearing them too. Braces are a great way to straighten your teeth at any age, and often adults do not have to wear them for long. If you do not want traditional metal braces, we offer a newer technology. This orthodontic development is a set of clear plastic aligners that use the same principal as braces in straightening teeth, but it are removable and nearly invisible. Many people choose this as an alternative to metal braces. 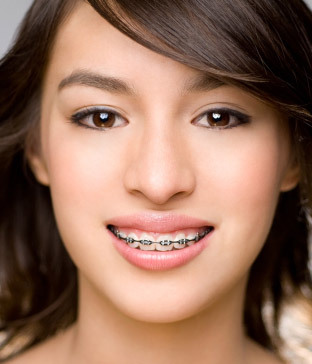 If you need more information about Braces in Clinton Township, contact us today.